… with a text on walking as research method by Rudi van Etteger and me. Walking, in our view, holds great promise for obtaining knowledge to inform the design of complex landscapes, and walking can be profitably used in the context of research through designing. Walking is especially suitable for answering research questions dealing with complex and unfamiliar tasks that require engagement with the object of research in order to understand and frame the problem properly. The book was edited by Adri van den Brink, Diedrich Bruns, Hilde Tobi and Simon Bell. 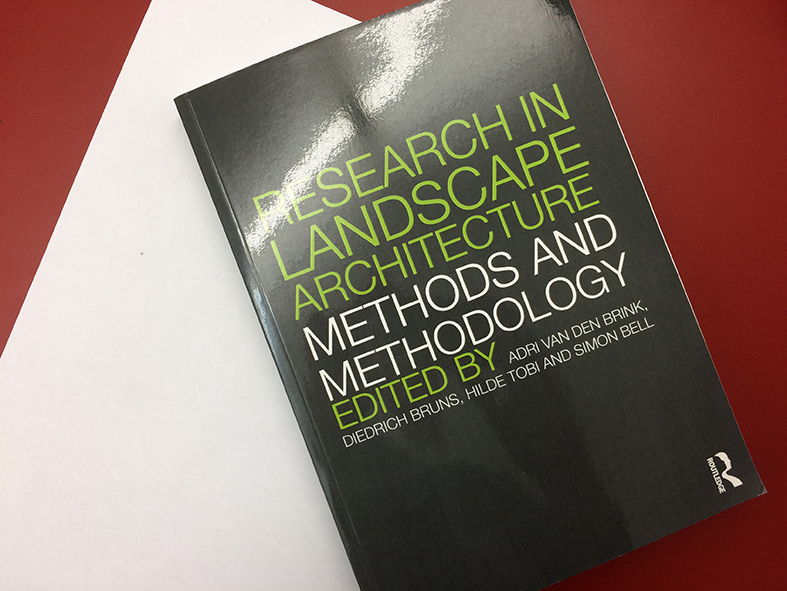 Research in Landscape Architecture. Methods and Methodology.